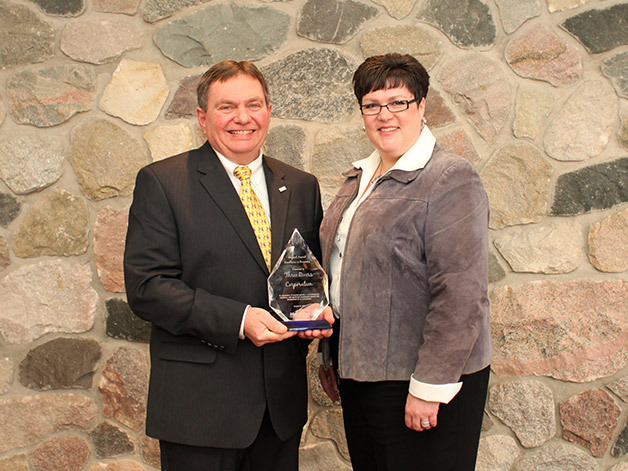 MIDLAND, MICH. – Three Rivers Corporation has received an Impact Award as part of the Midland Area Chamber of Commerce Excellence in Business Awards program. The award recognizes Three Rivers’ many business and philanthropic contributions to enhancing the community’s economic strength and vitality. The award is given annually to a Chamber member organization with at least 50 employees that demonstrates exceptional growth, workplace quality and community involvement. To support employees and encourage further community involvement, last year Three Rivers also established a foundation to provide financial support to area organizations. In recent years, the company has undergone a number of technology-based improvements to keep pace with expanding business opportunities in Michigan’s thumb region and the western and southeastern portions of the state. And Three Rivers has demonstrated a strong commitment to workplace quality by developing employee skills through continuing education in school programs and seminars.